Beloved Mother and Grandmother, Ida Mae Church, age 87, of Emmett Idaho, passed away on Sunday, September 9, 2018. She was the daughter of Jay and Ida Brown. Ida graduated from Caldwell High School. She married Eugene Hillman Church on December 26, 1948 and had three children, Wes (Marge) of Las Vegas, Nevada, Rick (Jeanne) of Pahrump, Nevada, and Cheryl (Steve) Gudgel of Anderson, Indiana. Ida has 10 grandchildren and 23 great grandchildren. She was preceded in death by her husband Gene and was blessed to have a wonderful companion in Dale Lombard for the last fifteen years. Ida had three brothers, Bud (Bonny), Billy (Joy) and Donald (June) and one sister, Wanda (Clark). Ida was a loving wife, companion, mother and grandmother. She had an incredible work ethic and worked most of her life in whatever capacity needed to help support her family. 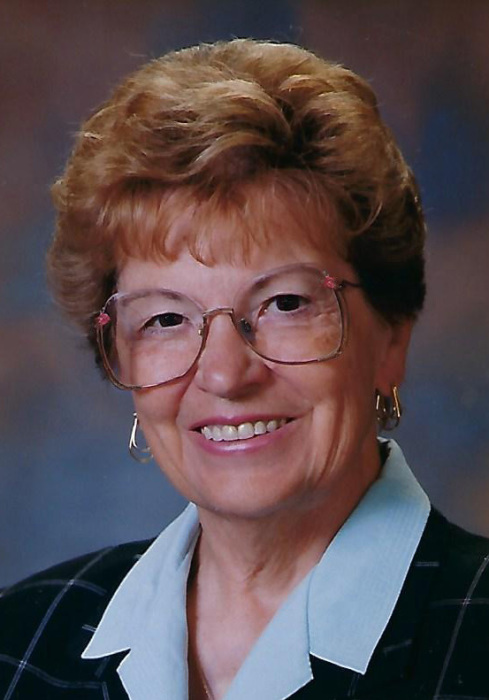 She made sure there was time in her life to serve others as well, Ida volunteered as a Cub Scout Den Mother, taught Sunday School, worked as the Chairman of the Emmett Arts Council, worked as a volunteer at the hospital and served seniors at the Senior Center. Funeral services will be held at First Presbyterian Church in Emmett, Idaho on Friday, September 14th at 2:00 p.m. Under the direction of the Potter Funeral Chapel in Emmett. Memorials may be made in her name to the Emmett Art Council.